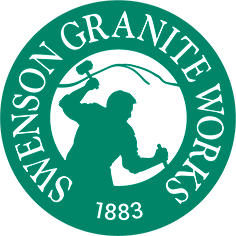 Every successful home project by Swenson Granite Works is a true testament to the power of teamwork. From the contractors to the skilled stonemasons to the homeowners themselves, no one part of the process is less important than the other. To create these masterful home designs, we are proud to work with professionals who create high-quality products and demonstrate the kind of expertise that is only developed through years of hands-on experience in the industry. Meet Trow and Holden: A team of Vermont-based craftspeople who have been handcrafting superior tools for stonemasons for over one hundred years. One of our most valued partners and a mainstay in the home and design industry, Trow and Holden have worked alongside our team at Swenson Granite Works for over 100 years as we create home projects that are beautiful today — and forever. Their team of dedicated artisans are committed to constantly honing their skills and improving their craft.  At every Swenson Granite Works location you can find a curated selection of Trow and Holden stonemasonry tools that are always handmade in the USA. A Trow and Holden lettering chisel is used to prepare a 9/11 Memorial in Beverly, Massachusetts for the bronze inlay. And as for the names of these forward-thinking stone cutting tools of the future,“We have a new item called a Bull Point, which is kind of arcane, but it’s a way to take off high spots and knots on stone,” Akley said. Trow and Holden’s Bull Point is their thoughtful and innovative solution to modern problems, “We came up with a simple tool that is effective with trimming stone and gives a lot more control over the thin stone splitting,” Akley said. The company’s president even gives a nod to Swenson Granite Works for helping them stay relevant and connected to their buyers. "We’ve worked with Swenson for a hundred years. I think Swenson is incredibly visionary in terms of the change in their product over the years,” Akley said. “We look at Swenson as our direct link with the customer. They are a distributor – we sell to them and they sell to the customer." Jordan Keyes, Director of Sales & Business Development at Trow and Holden, attended the Swenson Granite Works Shrewsbury Open House to demonstrate some of the company’s products. As they continue to look ahead, Akley is thinking big for Trow and Holden, “We see a lot more resources for people to get into stonemasonry,” Akley said. “In the past, when people had a skill or an idea or specialty they would hide it from everyone else, but that’s not the case anymore.” He credits this rise in popularity to maintaining the artisan tradition. “Craftsmanship drives consumer demand for that product.” We couldn’t agree more. Trow and Holden is giving away a Bull Point! Enter here for a chance to win.